One of the earliest pioneers of the Gothenburg melodic death metal style, Dark Tranquillity Comeback Again !! Pasca menjajal Rilisan Sebelumnya, EP " Zero Distance " tahun 2012, salah satu Jawara Penting perkembangan Genre Melodic Death Metal asli Gothenburg yang eksis terbentuk sejak Tahun 1989 Sebagai Septic Broiler dan Tahun 1991 kemudian menjadi Dark Tranquillity memang selamanya bakalan dikenang sebagai Pioner Melodic Death Metal dengan rilisan terbaik sepanjang masa-nya " Skydancer (1993) " dan " The Gallery (1995) " juga masuk dalam Playlist album penting berpengaruh. dan seperti halnya EP " Zero Distance ", warna musik band ini sendiri masih mengacu pada sentuhan gaya Modernnya, is a fairly standard song, with futuristic, industrial guitar chugs standing in for the serrated guitar lines of a few years ago. memang agak rada bergeser mungkin sentuhannya tidak sekental era kejayaan mereka, tapi sentuhan yang begitu Avant Garde ini lumayan memicu Genre Anyar pada dekade ini. less interesting guitars, some repetition on the part of the keyboards, but with a more solid atmosphere and better vocals this makes for a fulfilling 42:24. dan mungkin untuk pertama kalinya, Dark Tranquillity menggandeng Enjiner muda berbakat Jens Peter Daniel Bogren yang lebih dikenal sebagai Jens Bogren untuk Me-mixing album full ke-10 ini. Jens Bogren yang juga sukses menggarap album2nya Amon Amarth, Borknagar, Daylight Dies, Devin Townsend Project, Dionysus, Eluveitie, Enslaved, God Forbid, Grand Magus, Ihsahn serta masih banyak lagi deretan Band2 Populer Kelas Internasional menjadi alasan Kuat Dark Tranquillity mempercayakan Materi baru ini untuk mendapat sentuhan Beda dan Baru. dimulai dengan " For Broken Words ", sentuhan Industrial dengan Gaya Alternative Avant Garde sudah begitu mulai terasa yang kemudian disambung dengan Melodius Riffing Harmony. is more of the same, but with a more soaked and captivating atmosphere than the previous song; beautiful lead work and all. meskipun tidak hadir selalu dengan beat2 yang meledak ledak, Atmosfir nuansa Khas-nya begitu memenuhi ruangan kamar gw terasa Cool banget, sehingga gw terbawa Hanyut dalam Dimensi Khayalan aja cieeeee ..... Kharakter Musik metal yang kian melankolis menjadi sebuah sentuhan Universal yang bisa menembus semua penikmat Musik-nya, Dark Tranquillity tetap menunjukkan kematangan walo dengan gaya yang ga seliar sebelumnya. " The Science of Noise " ketukan beat nya agak lumayan memanas dari Gebrakan awalnya, masih tetap tampil begitu melankolis yang terasa Alternative banget, lagi2 terasa " Kalem " komposisinya tanpa distorsi yang menusuk. begitu pula dengan " Uniformity ", bahkan " The Silence in Between " malah terasa Gaya Alternative Gothic metal-nya. ada banyak yang bergeser dari konsep awal, penawaran konsep yang simple dan ga terlalu berat untuk dikonsumsi setiap hari, band ini bagi gw tetap Berkualitas dengan Karya fenomenal-nya. is an acoustic song of celestial atmospherics, and leads into the still heavier and more oppressive, which has a bit of a Norther feeling going on and doesn't really hold the attention like its forebears. but if you ask me the industrial, cold and dystopian progression of their Gothenburg sound that record tried to portray is better captured on this scant collection of B-sides, and it makes for a pretty cool listen if you were able to dig both their experimental works ! Komposisi yang agak sedikit berat bisa kita rasakan pada " Apathetic " dengan beberapa cakaran nyata Metallic Riffing cantik. " What Only You Know " masih begitu menusukkan irama Epic dan Harmonic pada setiap sentuhannya yang memorable. total 10 lagu berdurasi sekitar 42:24 cukuplah untuk memberikan sentuhan baru dalam belantika Musik metal yang semakin tampil modern harus beberapa kali melebur Idealisme bermusik musisinya untuk melakukan hal semua orang sukai, klise. inilah memang perjalanan sebuah musik jika memang telah berbaur dengan Industri musik dengan segala tuntutan pasar-nya. Artwork Simple bergaya Futuristik karya seniman Niklas Sundin memang terkadang akan mengacaukan pandangan Fans Mereka di Toko Musik sekalipun hehehe... tetap tegar masih dengan formasi aslinya sejak 1991, Dark Tranquillity tetap memberikan sentuhan tersendiri pada perkembangan Melodic Death Metal yang semakin Modern dan Kompleks. Optimistically speaking, a lackluster but good album is still a good album, unless of course they decide to sit down and keep writing the same thing over and over again, which will erase any positive outlook even from the most diehard fans. Let’s all hope for the best. Despite the negatives, this is still a very solid release nonetheless. 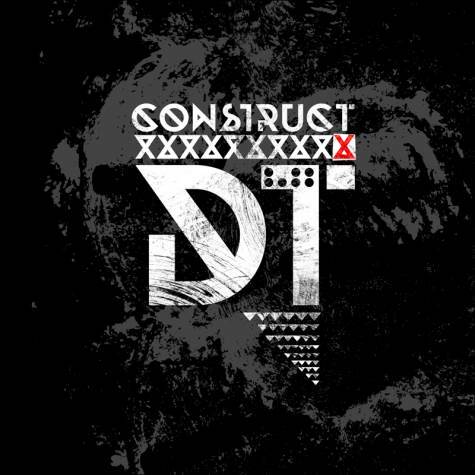 Dark Tranquillity is indeed a band excellent at delivering you melancholic songs to your mind, ever. One of the earliest pioneers of the Gothenburg melodic death metal style, Dark Tranquillity Comeback Again!! Post-tested release Previously, EP "Zero Distance" in 2012, one of the important developments Jawara Genre original Gothenburg Melodic Death Metal in existence since 1989, formed as Septic Broiler and in 1991 later became Dark Tranquillity is forever going to be remembered as pioneers with Melodic Death Metal releases his best of all time "Skydancer (1993)" and "The Gallery (1995)" is also included in the album Playlist important influence. and like the EP "Zero Distance", the band's musical color itself still refers to a touch of modern style, is a fairly standard song, with futuristic, industrial guitar chugs Serrated standing in for the guitar lines of a few years ago. Rada is somewhat shifted his touch may not be as thick as their golden era, but the touch is so Avant Garde Genre Recent sizable lead in this decade. less interesting guitars, some repetition on the part of the keyboards, but with a more solid vocals better atmosphere and this makes for a fulfilling 42:24. and perhaps for the first time, Dark Tranquillity took talented young Engineer Peter Daniel Jens Bogren, better known as Me-Jens Bogren to mix full album this 10th. Jens Bogren who also successfully worked album2nya Amon Amarth, Borknagar, Daylight Dies, Devin Townsend Project, Dionysus, Eluveitie, Enslaved, God Forbid, Grand Magus, Ihsahn and many more rows band2 Popular International Class is the reason Strong Dark Tranquillity entrust this new material for a touch of difference and the New. begins with "For Broken Words", Industrial touch with Avant Garde Style Alternative already so starting to feel that then spliced ? ?with melodic riffing Harmony. is more of the same, but with a more soaked and captivating atmosphere than the previous song; beautiful lead work and all. although not always present with the explosive beat2, its atmosphere so typical shades fill the room Cool room i felt really, so i brought Drifting in Fantasy Dimension cieeeee aja ..... Kharakter increasingly melancholic metal music into a universal touch that can penetrate all the music lovers, Dark Tranquillity continued to show maturity ga walo with style as wild as ever. "The Science of Noise" beats beat her somewhat tolerable heat of breakthrough initially, still look so melancholy that feels Alternative buildup lagi2 feels "Kalem" composition without piercing distortion. as well as the "Uniformity", even "The Silence in Between" instead noticeably Alternative Gothic style of his metal. there are many who shifted from the initial concept, the concept offers a simple and ga is too heavy to be consumed every day, this band for fixed gw Qualified with his phenomenal work. is an acoustic song of celestial atmospherics, and leads into the still heavier and more oppressive, roomates has a bit of a Norther feeling going on and does not really hold the attention like its forebears. but if you ask me the industrial, cold and dystopian progression of their record Gothenburg sound that tried to portray is better captured on this scant collection of B-sides, and it makes for a pretty cool listen if you were Able to dig both their experimental works! The composition is a bit heavy we can feel on the "Apathetic" with some obvious scratches pretty Metallic riffing. "What Only You Know" still so stuck Epic and Harmonic rhythm at every touch is memorable. 10 tracks total duration of about 42:24 suffice to provide a new twist in the metal music scene that increasingly appears to be some times fused modern musical idealism musicians to do all those things like, cliché. This is indeed a musical journey if it had been mingled with the music industry with all the demands of its market. Simple Futuristic style artwork by artist Niklas Sundin is going to mess up sometimes Fans They view in Music Store though hehehe ... still stand tall with its original formation since 1991, Dark Tranquillity still played on the development of an increasingly Melodic Death Metal Modern and complex. Optimistically speaking, a lackluster but good album is still a good album, unless of course they decide to sit down and keep writing the same thing over and over again, roomates will erase any positive outlook even from the most diehard fans. Let's all hope for the best. Despite the negatives, this is still a very solid release Nonetheless. Dark Tranquillity is indeed a band you excellent at delivering melancholic songs to your mind, ever.